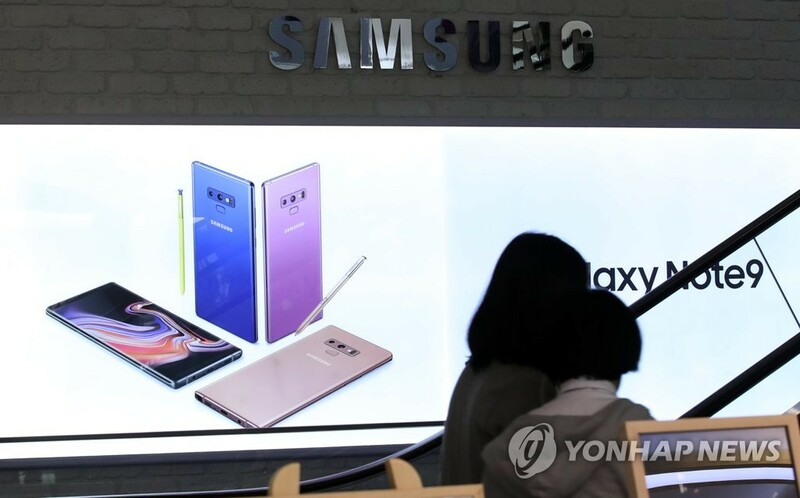 SEOUL, Oct. 5 (Yonhap) -- Samsung Electronics Co. said Friday that its third-quarter operating profit moved up a sharp 20.4 percent on-year to hit a record high, apparently on the back of robust returns from its chip business. The operating profit was above the market's expectation of 17.1 trillion won, based on a survey conducted by Yonhap Infomax on 21 South Korean brokerage houses. The sales estimate stood at 65.1 trillion won. The July-September performance marked the highest quarterly figure ever posted by Samsung Electronics. The previous record was 15.6 trillion won achieved in the first quarter of 2018. Samsung did not announce the net profit for the third quarter, nor the performances of respective business divisions. The finalized earnings report will be announced later this month. The record earning was apparently attributable to its chip business, industry watchers said. The third-quarter operating profit of the chip business is expected to have hovered above 13 trillion won for the first time ever. Despite the weaker outlook over the global chip industry, industry watchers said Samsung still sought to expand sales by finding new business opportunities, while also enjoying strong seasonal demand. With the area responsible for around 80 percent of Samsung's quarterly operating profit, however, industry watchers said the company will need to diversify its portfolio to evade potential pitfalls down the road. The smartphone business is expected to have posted a weaker performance compared to a year earlier. Local analysts estimate Samsung earned around 2.3 trillion won in operating profit from the IT and mobile division, which marks a sharp drop from around 3.3 trillion won posted in the same period last year. Samsung Electronics launched the Galaxy Note 9 in August, but intensifying competition in the global market, especially by Chinese rivals, weighed down on the South Korean tech giant. The decreased earnings followed an increase in production costs, along with expanded expenditures in marketing projects, industry watchers added. The South Korean tech giant is widely expected to revitalize its smartphone business by releasing fifth-generation network and foldable models next year. Samsung Electronics, meanwhile, is anticipated to face a slight decrease in its operating profit for the fourth quarter in line with changes in global prices of memory chips, industry watchers added. For the whole of 2018, the company is forecast to rake in an operating profit of 65 trillion won, beating the 53.6 trillion won posted in 2017. Shares of Samsung Electronics closed at 44,700 won on Friday, unchanged from the previous session. The third-quarter report was announced before the market started trading.